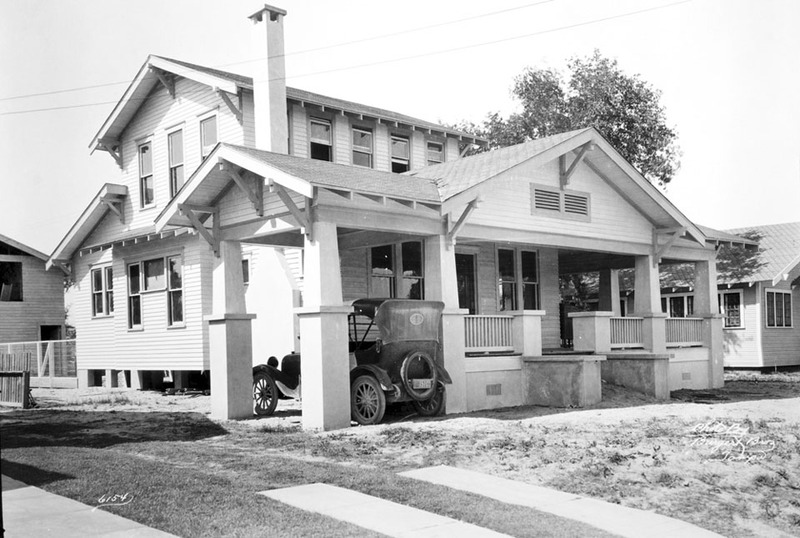 Henry P. Rodgers built this bungalow style house in 1922. Aside from the SUV in the driveway, the modern photograph looks very similar to the historic one. I used to live at this address back in 1962. The home was owned by a M. Rutherford at that time. It was very nice inside. I’m glad a former resident of one of the homes I re-photographed has been able to view my site! If you or anyone else has any more information about the history of any of the buildings I re-photographed, please feel free to let me know. My wife and I bought this house in 2008 and are currently living here. I would love the opportunity to talk to P. Black. Bryan, if you have any way to make the connection, it would certainly be appreciated. Great project and great photographs. Thanks. the wraparound porch is gone…looks like for add’l living space, but the majority of the original architecture of this home is present & that’s what counts. 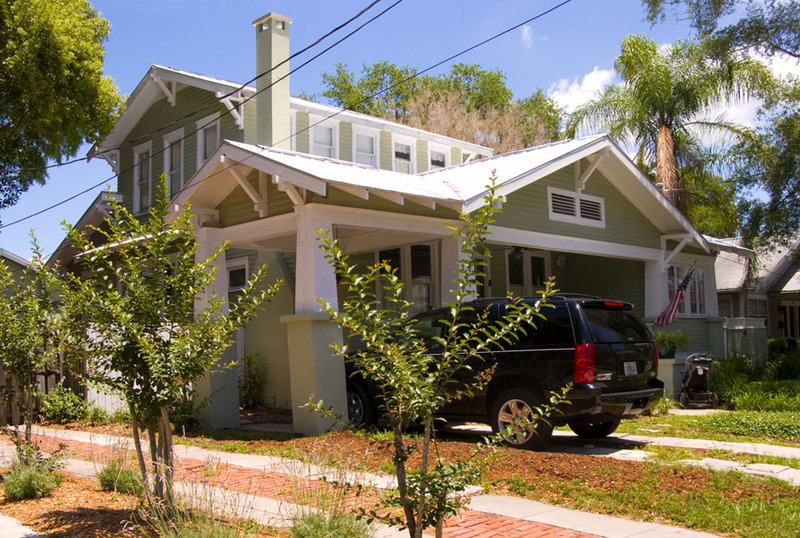 This home will be featured in the Historic Hyde Park Neighborhood Association’s 2017 home tour to take place on 3/4/17. I visited the home today (1/10/17) and spoke to Caroline Hensler. If anyone has any anecdotes or interesting history about this home feel fee to contact me at [email protected]. I’m writing up this home for the home tour brochure.